Oceanfront deck area. Each deck is shared with adjoining unit. Living room Dining area Kitchen and living area Dining and living areas. Living room Deck view. Master bedroom with one queen bed Bathroom Guest bedroom with two twin size beds View of the back of the building from the beach. Unit is located on lower right. Street view of property and beach access. 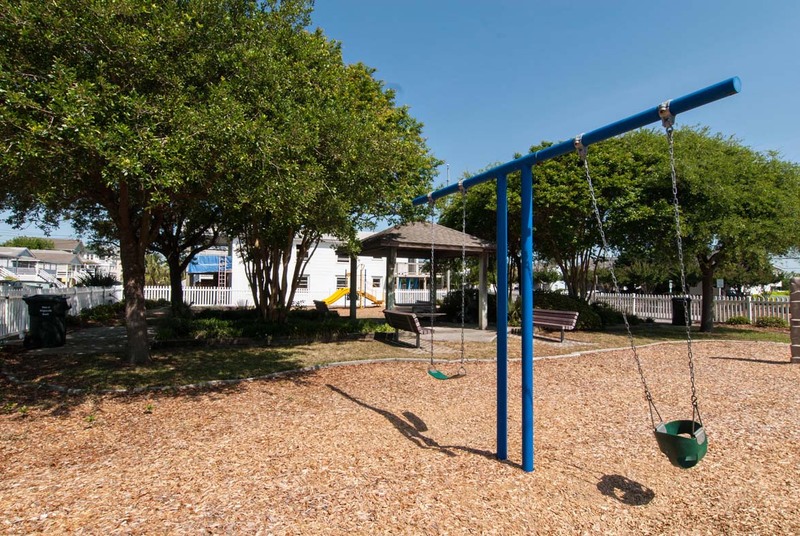 Community park down the street from the property Community park down the street from the property Visit the South end of Wrightsville Beach, a popular spot to watch kite surfers throughout the year. 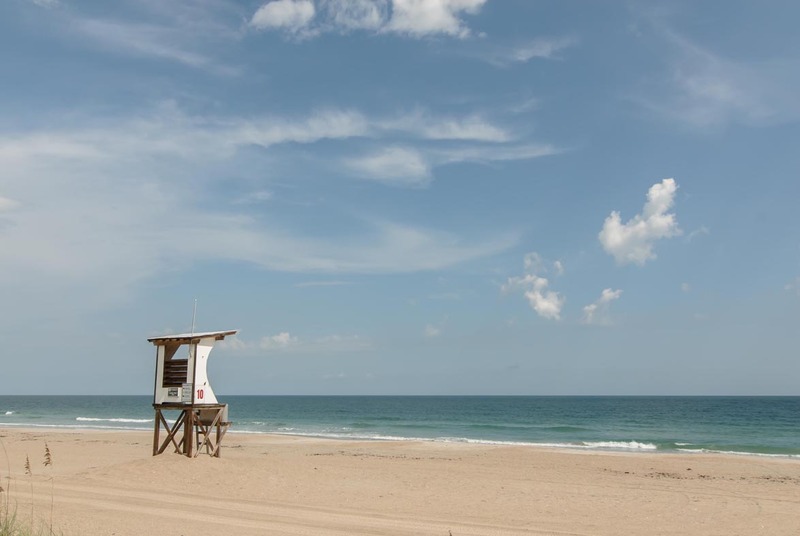 Lifeguard stand on Wrightsville Beach Beautiful ocean water Bring your board… surfs up! 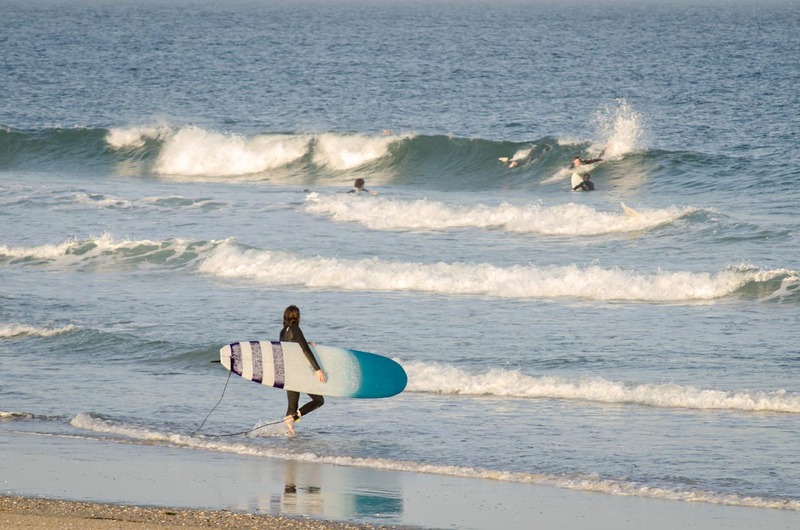 Another popular event at Wrightsville Beach... Home to several surf competitions throughout the year. 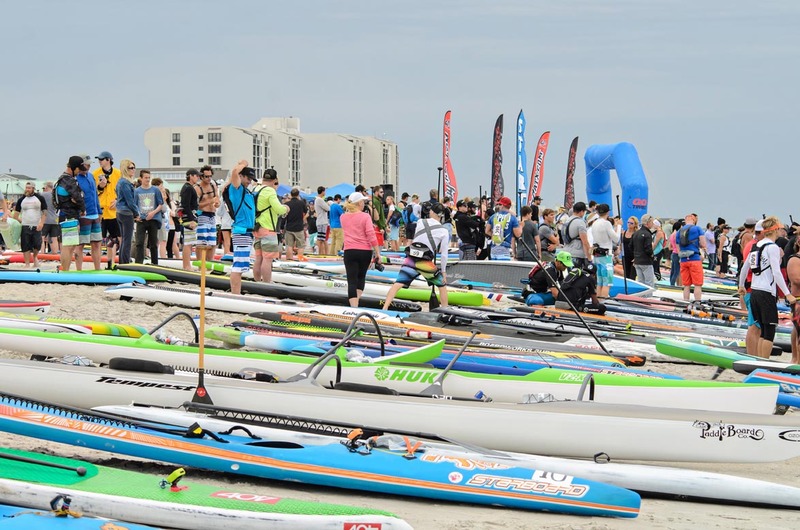 Paddle boarding is a popular event around Wrightsville Beach and is home to the Carolina Cup SUP Race. 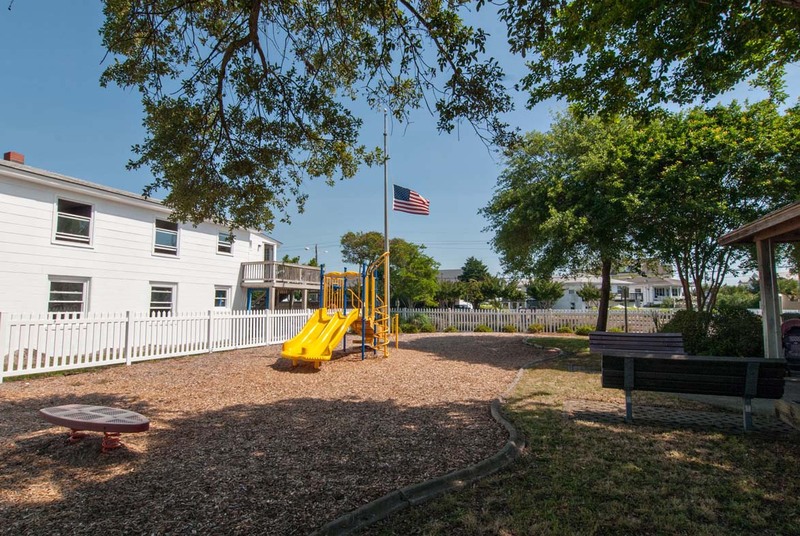 Are you looking for affordable, no frills accommodations at Wrightsville Beach? This ocean front 2 bedroom, 1 bath lower unit with a great deck and view of Johnnie Mercer’s Pier is the perfect solution! You’ll feel like you’re right on the beach! For larger groups, rent other 3 units in the building, contact us directly for the property ID info. Occupancy: 4. Off-street parking for 1 car. No washer/dryer. No Pets. No Smoking. No central air - only window units. The roof top sundeck is not included in the rental. We had a wonderful time. The rental is great, reasonable priced, clean and convenient. We have used Bryant Reality for going on fifteen years all while staying at the various apartments in Parker. Never a problem in all this time. Rentals are always clean and ready when we arrive and as usual, we hate to leave when our time is over. We plan to continue to use Bryant Reality for years to come. The initial customer service from the staff in the office was non existent. We got there less than an hour early and they wouldn’t give us our parking passes so we had to drive around and then pay $20 for parking for 30 minutes before getting the passes. They should have been more flexible, but even more than that they should have been accommodating in other ways. They could have offered us a place to park in the mean time or offered to call as soon as the property was ready. Then i called to ask if it was ready, as they instructed me to, and they were rude on the phone. Additionally, the property was more clean the way we left it than it was when we arrived. The extra bedroom had no A/C unit and was too hot to sleep in. Ultimately the location was enough to keep us happy. 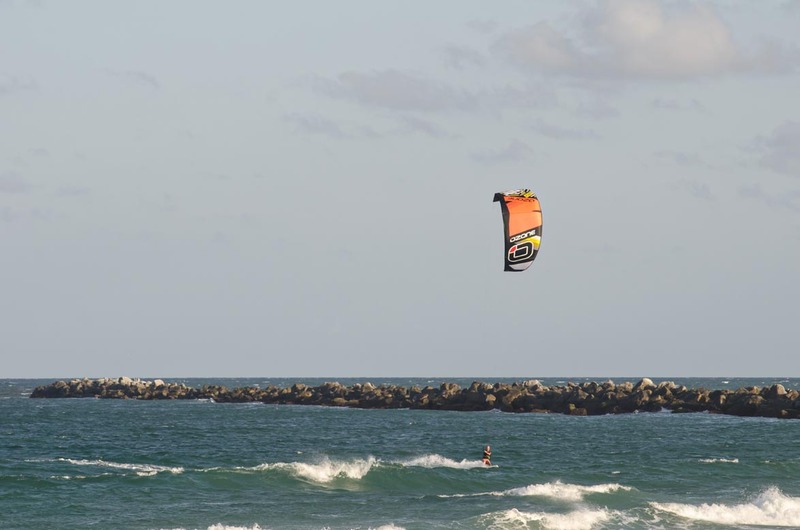 It was walking distance from the pier and the main strip of bars and restaurants. Aubriana, We are pleased to hear that you enjoyed the location of this home. Having been in business for over 65 years, we take pride in our customer service and sincerely apologize you did not feel we were compassionate to your concerns. We appreciate your feedback, unfortunately due to our housekeeping, maintenance, and inspection schedules we are unable to allow guest to park at units prior to check in as this would prevent the necessary parties from having access to the unit. We were unable to locate any record of issues with the cleanliness having been reported during your stay. In the future, please do not hesitate to contact us with any issues you experience; our housekeeping and maintenance are available 24/7 to assist our guests. Thanks again for your feedback and we hope that on your next stay, we can facilitate a more relaxing getaway. It was a little small, but ok for the two of us! Hubby was disappointed in the bed and the lack of cable channels but enjoyed watching the birds and porpoises with our awesome view! I loved waking up to the view each morning! But we spent most of our time at our daughters home! Thank you for the feedback Theresa! We think your review is on point, this unit is all about that million dollar view! Its perfect for those that want to experience the beach whether on the sand a few steps away, or the covered porch. We believe the price correctly aligns the accommodations, however we have many homes under management that offer more luxurious features from private pools to movie rooms. If you interest change, we always recommend talking with one of our resort specialist to make sure we find the perfect home for your perfect vacation! This condo was very clean! no frills, great location, twin beds were good, queen bed needs replaced, appliances were clean but rusty on the outside, bathroom ceiling needs a lot of attention. Flooring throughout and carpet needs replaced, entry way is a trip hazard. Communication with Bryant was wonderful. Joyce, We are glad to hear you enjoyed your stay with us at this great little beach front spot! We will suggest an upgrade of the queen bed to the owner of the unit, and will request the bathroom ceiling and entry rug be addressed. Can't wait to see you next year! Exactly what the pictures show. Clean and basic with a great location and view. I came to Wrightsville Beach to participate in the Carolina Cup race. Having that as a main agenda, I was hoping to find a peaceful spot to be able to fully rest prior to the "Big Race". So glad that I've found that agency! It was effortless, quick and pleasant set up! Extremely friendly staff,peaceful atmosphere! I and my wife have been enjoying that vacation big time! Thank you! I had a great vacation at this beautiful beach. It's a perfect spot with everything available just like being at home. Nice ocean views from this clean unit. We were surprised to find the furniture and TV had been upgraded from what the pictures showed. The unit was clean and was great for our 2 day stay. The only downfall is (as I knew before our visit) you share a porch with the unit next door. This means you also share the pathway of entry to their unit. Just remember not everyone is the quietest when they return at 1am to their unit. Easy access to the beach, grocery stores, and restaurants. I wished I had more time to stay rather than just for the weekend. I have a brother that lives in Wilmington, so it was nice to have a place at the beach and to visit with him at the same time. We have rented this unit twice and you won't find anything more affordable ocean front. It is a no frills unit but who goes to the beach to sit in the house!! My only complaint is with the air conditioning situation. One bedroom has two AC units and the other has none which I didn't understand. The unit in the main living area kept the apartment cool but was very, very loud so it interfered with conversation and watching TV. Other than that,you cannot beat the location for the price! The property was perfect for what we needed! We were attending a wedding in Wilmington, but wanted to stay at the beach, and this did not disappoint! My expectations were relatively low given the price point, but the property was above and beyond what I had hoped for. It was a clean, no-frills property in an awesome location. We had enough space that we were able to invite a few friends over to spend the day on the beach without feeling cramped, and it was easy for them to find public parking close by. Couches and beds were all very comfortable. It was a short walk to restaurants and beach bars, and the location and views of the beach and Johnny Mercer's Pier were amazing. I couldn't have asked for anything more, and I can't wait to go back soon! Awesome location. Rental was clean and convenient with a phenomenal view. Property management was exceptional. Good communication, before, during and after. Loved the local seafood restaurants, The Cotton Exchange in Wilmington and Mayfaire Town Center. Only recommendation is to improve outside lighting in parking area and stairs to unit. This is the second time staying at this location and it was great. We loved the proximity to the beach. We loved hearing the waves crash as we sat on the porch. The only drawback was the condo needs a little updating, however, it was very clean when we arrived. We will be staying there again next year. I had an enjoyable weekend. 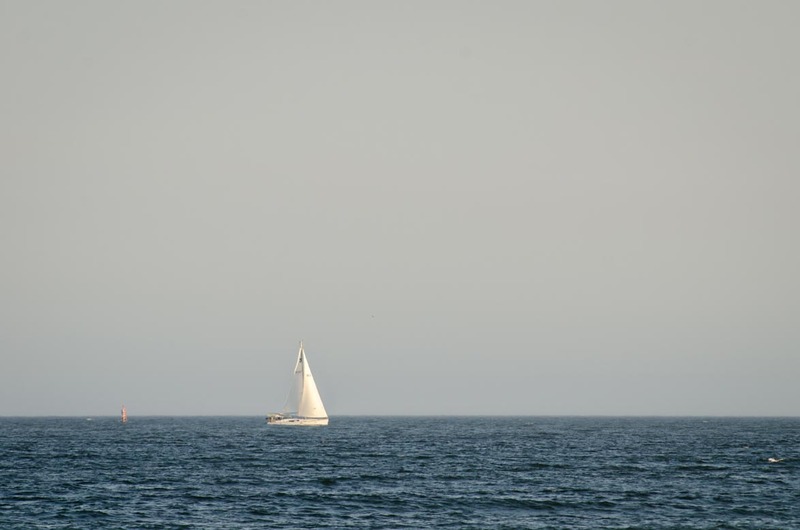 We enjoyed our stay in a quaint unit with wonderful views of the ocean. Great beach access and surfing everyday. A short walk downtown to restaurants. It reminded us of the original shore homes we stayed in as kids. Good location. Simple older condo but clean. Kitchen and air conditioner upgrades might be a good idea but for the price, no complaints. Awesome location! Deck with ocean view, footsteps from the beach and walking distance to bars, restaurants and shopping. We had a great week and will definitely rent this property again. Amazing location! Doesn't get better! Owners and real estate company beyond wonderful! Thanks for an Amazing week?? My sister-in-law and I decided to do a girl's weekend at the beach. This location was perfect. The only thing I can suggest is to make sure there is more than one roll of TP. This rental was advertised and no frills and was reasonably priced and we would stay there again. The location was awesome and we spent most of our time outside!